The Greatest Generation is a term coined by NBC anchorman Tom Brokaw in his book aptly also named, The Greatest Generation, which he wrote in 1998. Brokaw uses this term to describe the American generation who survived and grew up during the Great Depression and who later went on to protect America in World War II and then came home to rebuild the nation, if not the entire western world. This generation full well knew and understood the meaning of self-sacrifice – both here at home and on the battlefield; they took personal responsibility for their lives; they were frugal and hard-working; they loved God, family and country – and they did it all with humility. I concur with Tom Brokaw – they were truly our finest and greatest generation of Americans. When you look at our combined family ancestry – it contains many outstanding military men – men who have fought in every American conflict from the American Revolution to the Iraq War. None stands out more than Milton Pete Zimmerle. Milton was born 22 Aug 1918 – and grew up in and around Taylor County, Texas – the son of Oscar Zimmerle and Ella Lillian Norris. He is laid to rest in the Dewey Cemetery in Lawn, Taylor County, Texas. The emblem on Milton’s headstone tells us everything that we need to know about Milton’s World War II experience. You see – he was a member of what has become known as The Lost Battalion. 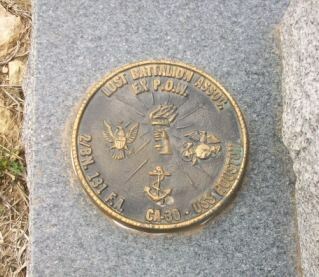 The Lost Battalion Association is composed of the men of the 2nd Battalion, 131st Field Artillery and those men who swam ashore from the Cruiser USS Houston (CA-30) when it was sunk, and who survived forty-two months of “hell” as prisoners of the Japanese during World War II. 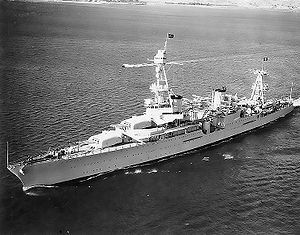 (The USS Houston was nicknamed the “Galloping Ghost of the Java Coast,” and she was sunk at the Battle of Sunda Strait on 1 March 1942.) At the time a Japanese fleet, consisting of an aircraft carrier, five cruisers, 11 destroyers and several PT boats was in the Strait, covering the landing of Jap troops from 40 transports. When the HMAS Perth and the USS Houston reached the strait late that night (February 28, 1942) they found themselves surrounded by enemy ships. After putting up a tremendous battle, first the HMAS Perth and then the USS Houston were sent to the bottom. Only 368 of the total complement of 1011 men of the USS Houston managed to reach shore. The remaining 643 shipmates, including their skipper, Captain Rooks, went down with the ship. Within a few days, all the survivors became prisoners of the Japanese. The USS Houston is pictured below. One of the toughest pills to swallow was not being able to communicate with families and loved ones at home. Sharing all this mental and physical anguish together built a special relationship among the survivors and each man knows how the other will react in almost any “chips-down” situation and most are pleased at what they have learned about their fellow survivors. Moving by ship from Java to Singapore and thence to Burma, Thailand or Japan, the men were packed like cattle in the lower holds, taking turns sitting, squatting, standing or laying down while suffering from sea sickness, dysentery, malaria or other tropical diseases, while standing in their own, or their neighbor’s filth, because it was impossible, or not permitted to get to the ship side latrine on the main deck. Then, the men worked in the steaming jungles and the “monsoon” seasons of Burma chopping down jungle trees, hand building road beds and bridges and laying ties and rails with primitive tools in construction of the now infamous “Burma-Siam Death Railway”. Some of the men were mining coal and/or working on the docks in Japan while living in sub-standard housing, without any heat or sufficient cover during two Japanese winters, where real starvation was a daily companion. Of the 902 men taken Prisoner, 668 were sent to Burma and Thailand and worked on the “Death Railway” (of Bridge on the River Kwaii fame). Of the total 163 men who died in Prisoner of War Camps, 133 died working on the railroad. After completion of the railroad, 236 of the men were disbursed to Japan and other Southeast Asian Countries to work in coal mines, shipyards, docks, etc. and a few remained at “Bicycle Camp” in Java. 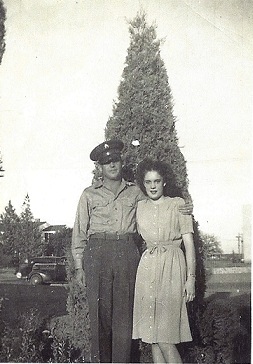 Milton’s niece, Beverly Neil Atwood, remembers her uncle speaking occasionally of his POW experience. Milton told the story of a Japanese girl who would bring a pint of milk every day for him and one other prisoner. Milton feels certain that he would have died without that compassionate help. He feels equally as sure that the girl would have been killed had she been caught. Milton said they were so desperate and hungry for food that when a poor (and unsuspecting) dog strayed through the prison camp, they caught it and ate it. Milton told Beverly that when they first arrived at the POW camp the men were given rations or rice – with bugs in it. At first the men picked out the bugs with disgust – but later – it was just something more to eat. Upon their liberation from the Japanese the men were running from the camp and down a hill. At the base of the hill stood a Japanese man pulling a cart. The men in their eagerness ran over, trampled and killed the Japanese man. 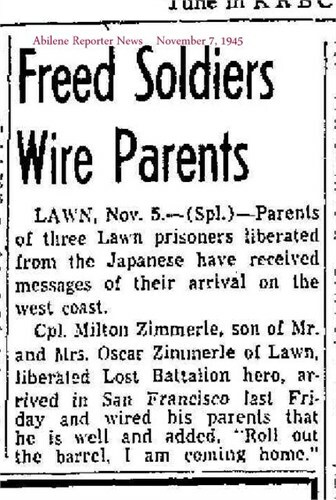 It appears that Milton Pete Zimmerle was liberated sometime in the Fall of 1945 and that Milton was back on American soil by November of that year. Once home, Milton Pete Zimmerle went on to marry and have children. He lived the rest of his life in Taylor County, Texas. The facts and stories detailed here are incomprehensible to most of us. Not many today have the mental and physical fortitude to endure what this generation of men did. Milton Pete Zimmerle – America is forever in your debt, and we salute you. For further reading on The Lost Battalion, you might enjoy a book written by one of the prisoners, Kyle Thompson, A Thousand Cups of Rice: Surviving the Death Railway. Great story. These guys never spoke much of their trials. Thanks for sharing his story.